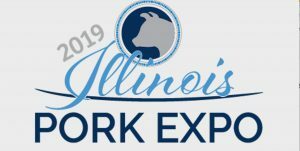 The 2019 Illinois Pork Expo is being held this week in Springfield. Producers will have a chance to complete Certified Livestock Manager Training and apply for a Premises ID number for their farm during the Expo, which ends Jan. 30. BLOOMINGTON — Congress united Jan. 25 to pass a temporary funding bill to reopen the federal government for three weeks, ending on Feb. 15. President Donald Trump quickly signed the “common-sense” solution, as he referred to it, into law. Among the many ramifications for agriculture, market analysts and investors are now eagerly awaiting a “catch-up report” on commodity supplies and other market determinants to be issued by the USDA on Feb. 8. Many analysts are expressing concern about possible market upheaval triggered by the results of the first USDA-National Agricultural Statistics Service reports to be issued in more than a month. Illinois Farm Bureau director of national legislation Adam Nielsen told news sources that FSA staff — which number around 9,700 federal workers — will also be able to provide service for existing Conservation Reserve Program contracts, the Dairy Margin Protection Program, and the Agricultural Risk Coverage and Price Loss Coverage programs. It is unclear at press time whether the full slate of FSA services will be available during the extension; farmers should check with their area FSA service center with specific questions, or visit www.fsa.usda.gov. Calculations of world ending stocks by the USDA do not include lower production by major exporters that developed since December, Hubbs added, referring to reports of lower than expected crop production due to weather issues in Brazil and South Africa. An entry by China into a tight world corn market under a new trade deal would support corn prices, he concluded. Discussion and graphs associated with Hubbs’ article is available online at: https://youtu.be/e60t0DUSo8M. SPRINGFIELD — The importance of registering livestock farms for a Premises Identification Number is front-and-center, during this week’s 2019 Illinois Pork Expo, running from Jan. 29-30 in Springfield. In addition to offering Certified Livestock Manager Training, the Expo offers producers who have yet to register for a PIN an opportunity to do so, and those who already have a PIN an opportunity to confirm the accuracy of their data with the Illinois Department of Agriculture at Expo Booth #723. 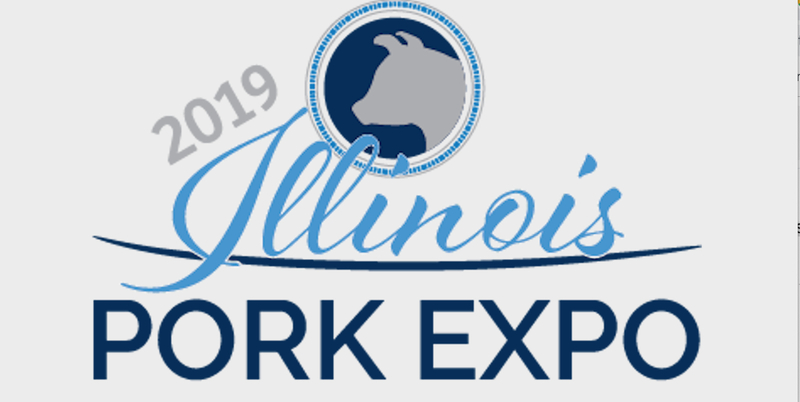 Producers who can’t make it to the Expo can still make changes or apply for a new PIN by calling (217) 782-4944 or emailing Sandy.Gilmore@illinois.gov. Applicants should be prepared to provide: the address where the livestock are located; premises contact information; and name, phone number and email address. An account may list multiple premises associated with it if each premises has its own PIN and each authorized user is identified with name, address and phone number depending on how your business is set up. The reason for the PIN push at Expo this year is due to heightened preparedness for foreign animal disease outbreaks in the United States. During an early bird session to kick off the Expo, Dr. Liz Wagstrom of the National Pork Producers Council and Dr. Patrick Webb of the National Pork Board led a discussion on FAD preparedness at the President Abraham Lincoln Hotel. NEW ORLEANS — A number of Illinois county farm bureau offices were honored at the recent 100th American Farm Bureau Federation convention and IDEAg Trade Show in New Orleans for innovative programming at county levels from around the country. Illinois recipients of IDEAg awards included the Knox County Farm Bureau for a promotion in which members teamed up with the Knox-Galesburg Symphony to provide a free, two-hour event on a farm in Oneida. During the event, children made musical instruments from locally grown ag products with supervision from local farmers and adults. Kids were allowed to perform two songs with the symphony using their farm-fashioned instruments.